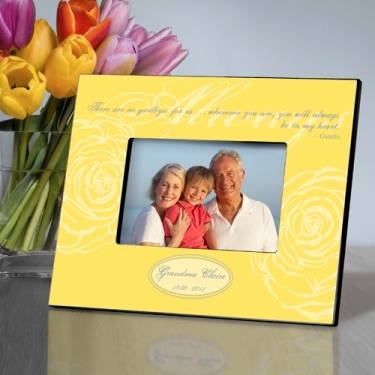 This is such a beautiful frame and a great way to remember a loved one. 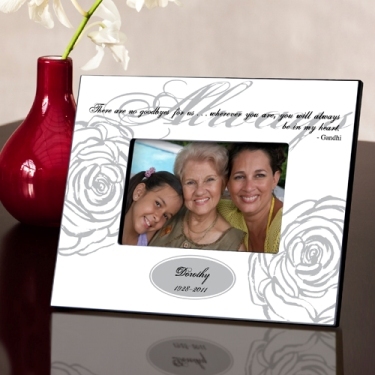 This frame features elegant rose accents with a script font. The frame is measured at 8" x 10" and holds a 4" x 6" picture. The first line can be personalized with up to 20 characters, and the second line with up to 15 characters. Also available in yellow and gray.